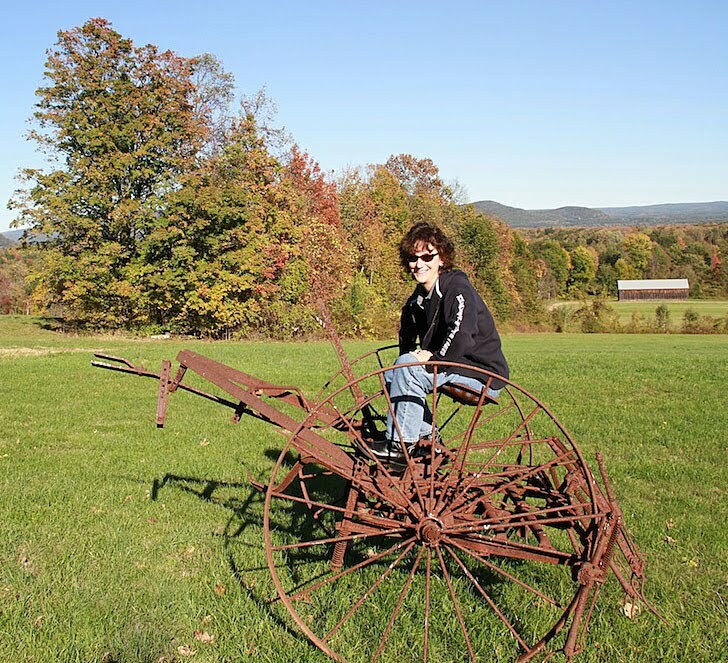 Fall is the time of year in Massachusetts where we like to sit on antique farm equipment in the middle of nowhere. It makes us look all New England-y. And stupid. And it's all fun and games until someone gets a rusty sprocket up their bum. Then it's just fun. Get down off that rusted thing... it don't look safe! Damn Girl, you look fine in that photo, sprocket up your bum or not....I didn't just say that did I? 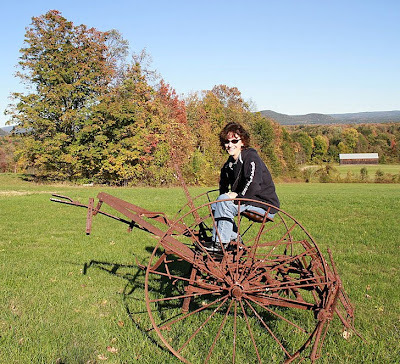 It was a big rust bucket Chewy - I should have not got on that thing! LOL Tara. Yes, I had a sprocket and I liked it! That's good to know Lili because in case I ever move south, I can act just as silly!